Your child is a fount of boundless energy. You, my friend, are not. No matter how active you are, there always comes a time where you just can’t anymore. You can’t stay on your feet any longer. You can’t stay vertical and be nice at the same time. You can’t think of any snacks besides Oreos (and those are YOURS). You especially can’t sometimes when you are sick, pregnant, tired, overworked, recovering from surgery, hosting family in town for a week…the list goes on, but suffice it to say – we’ve all been there. But, being a mom, can’t is really less of an option these days. Because you can’t stop being Mom. And your child wants to hang out with you. All. The. Time. Sure, kids can and should play independently, but it is only so long before they are back at your side asking you to play with them, especially when they see you “taking a break”. And that deep-seeded desire for your full attention becomes a monstrous thing when you repeat again that mommy is too tired or just can’t. On those days and weeks when you are just too exhausted to move, it helps to have some hacks that will allow you to engage your child from the comfort of your couch. 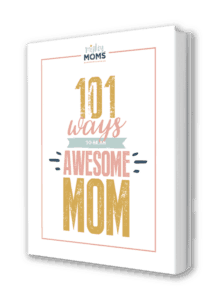 And, lucky for you, we’ve got your bag of tricks right here: 12 activities that employ the least amount of energy from mom while also allowing you to engage fully with your kids. These are kid-tested, prego-mama approved. While you may need some specific items in your house for several of these, there is no exhausting “set-up time” once you do. These are immediate play items; they are a mix of high-energy (for your kid) and low-energy (for you). If these aren’t enough, check out The Toddler’s Busy Book by Trish Kuffner as an easy on-hand reference when in a pinch! While I should probably save my favorite for last, I love you too much to make you wait for this one (though not enough for my #2, which I saved for #12). The one that has saved my life. If you are reading this in your moment of desperation, I hope this one works for you as it has for me. Have your daughter pretend she is a dog. It sounds simple, but it…is…magical. I have spent hours throwing pretend bones while also telling her to sit, speak or roll over. I have watched her run all over the house (wearing herself out) pretending to catch imaginary balls, while I sit on the couch and…well…do nothing. And when she is sick of playing dog, let her pretend she is a cat. Or horse. Or monkey. Or elephant. Or…you get the idea. This will also help kids learn what animals like to eat, noises they make, etc. It’s a win on a lot of fronts. Cut various sizes of fish out of construction paper and put a paper clip where the mouth should be. If you want to add a layer to this game, write something on each fish that you would then “catch” – a silly word you would use in a sentence, a number so you can keep score, things you would include in your “fish tale” story once all the fish are caught, etc. Or, for when you really just can’t break out the scissors, Melissa & Doug save the day with their own fun version. Felt scenes are making a comeback! Ok, maybe they never left, but I discovered them big time while pregnant with #2..
What are felt scenes, you ask? Similar to these Melissa & Doug moveable sticker books but more durable and easier for little hands, felt scenes start with a basic location background (like a park) and have various pieces of felt in different shapes (e.g. lake, ducks, frogs, trees, clouds, apples, butterflies, etc.) that can be positioned all over it, again and again. You can make your own, or there is a world of fun scenes waiting at the click of a button. Do it a few times together; then encourage him to do it on his own while making sure to ooh and aah over it. Remind him there is no wrong way to do it (no matter how much your OCD side starts to flare up). This will encourage maximum creativity. If you choose to do them yourself, felt squares are around $0.25/each. If you have creative ideas but are not good at cutting, invest in the felt with a sticky side – you can print off pages of clip-art, attach, and cut. Easy! Kids LOVE an audience. How many times have you heard your daughter say, “Watch me! Watch me!”? Now is the perfect time to do just that. Ask her to put on a dance show! Pull out a few twirly skirts or superhero capes for “costume changes” and then you can play the all-important role of audience. Find some of your favorite songs on Amazon Prime Music and clap along while they rock to the beat. Encourage her creative side by calling out random dance moves (“Do the coffee pot!” “Do the tree climber!”) and let her interpret it as she will. Giggles are sure to ensue. Grab a potholder, a few pairs of your gaudiest socks (those ones you secretly love but will only ever wear in boots), add a few hands, and you are all set! You don’t even have to think of dialogue for them. If you make your own sock puppets, they will probably have their own silly, unintelligible language, and if you use animals, just make animal noises while moving them and making funny faces. Your daughter will create her own scenario in her head, and will probably end up taking the puppets from you and doing it all herself. There is something about flashlights and laser pointers that kids just love. Why not take some time to enjoy those simply fascinating battery-powered torches together? “Race” each other around the room. Give him simple riddles of things he can find with the light in the room. Point at something and ask him to tell you stories about it or explain why he likes it. Then, let him wander around the house looking at things in the dark while you look at the inside of your eyelids. For this one, all those little stuffed animals you seem to have accumulated will finally have a purpose. First, gather as many as you can, and then find a basket that will hold them. Put the basket behind the couch or across the room, and take turns dropping or tossing the animals in blindly. See who can get the most in, and then have your daughter throw them back at you after you run out in order to get them back on the couch (pick soft ones). If it gets too easy, just move the basket farther away or find some smaller objects. Sometimes eye contact is all it takes for kids to feel connected. So why not let him move big time while enjoying your full attention, like jump (jump jump)? An indoor trampoline will help him “get that energy out” while you encourage him from the sidelines. This option has been made safer over the years thanks to some great innovations from desperate moms – like nets and hold bars. However, always make sure there is plenty of room around them (and maybe pillows) as extra safety. Always safety first! With this option in place, maybe he will actually take that nap today! Get creative with Play Doh (on the coffee table). If crayon coloring on the couch makes you cringe thinking about the chance of finding a melted runaway later (like it does for me), advances in color technology mean markers are fair game. No mess Color Wonder books and markers will mark only on the paper it is supposed to. Whatever you choose, don’t overlook the simplest tools in your toolkit! Depending on her age, your daughter may be ready to start playing some board games. New funny games like Raccoon Rumpus and the Sneaky Snacky Squirrel Game, as well as mainstays like Candy Land and Hi Ho Cherry-O, are sure to get giggles and help stimulate your growing toddler’s learning center. While puzzle subjects like numbers and letters or animals won’t take a lot of brainpower for you, your son’s brain will be making all kinds of new wrinkles as he figures them out. Peg puzzles do well on the couch or coffee table; they are big enough that the pieces don’t get lost too easily. If you choose to go with a floor puzzle, just make sure he sits close to the couch. That way, you can still reach in with an arm without moving away from your post. Just like the Magic Schoolbus takes Ms. Frizzle’s class just about anywhere, so can your magic couch. Pretend to be a bus driver and make each seat on your couch a different seat on the bus (or put pillows around as extra seats). Have your daughter find stuffed animals for passengers and then let imagination take over. Drive or fly to exotic locations and ask her what she sees. Pretend to pick up her friends. Sing traveling songs or staples like The Wheels on the Bus. She, of course, can get on and off and go places, but you are the driver – you stay on. This also works for playing spaceship. You can’t go outside into space because you don’t have a suit on, but she sure does! You can run the controls while she goes on a spacewalk. Plus, during space launches, don’t all astronauts have to lay on their backs? 12 couch-friendly activities that will let you take that break from running around while still getting some sweet face-time with your tyke. Just because you are exhausted and he wants to do laps around the house hand-in-hand, doesn’t mean you can’t both be happy. Now, I’m not suggesting moms have a pass to lay on the couch all day every day, but sometimes even getting out of bed is considered a win. Hopefully some of these ideas will help keep the balance in your home! These couch-approved activities should help you out in those moments when you just can’t, but they are also engaging enough for the majority of your days when you can, too. You can join her on that spacewalk, go on the hunt for “pop up” fishing holes all around the house, or go the extra step and build a puppet blanket stage. Just make sure she doesn’t snag your Oreos. Those are yours, remember? In need of more ideas to keep your toddler busy throughout the day? Check out these other toddler activities or these special crafts that involve little-to-no mom-volvement! Which of these couch activities are you going to try first?